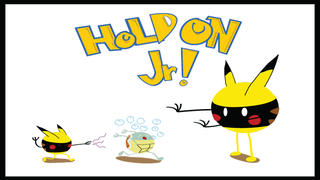 "HOLD ON Jr!" is an all ages web-comic about a father spreading the joy (and pain) of all things nerdy to his son in odd and surreal ways. So what makes it Unofficially Official Unofficial? A couple reasons. 2. I'm no artist as you can tell by the extremely minimalist style of the comic :(, but I'm learning, and because of that it takes me an embarrassing long time to even do something this simple. So while I'd love to post 1 every week, this may vary a bit. Anyway, tell me what cha think below. Do you wan't more? Should I stop and never come back till the end of time? ALL DA FEEDBACK! Lets Talk Mechanics: Should MC&apos;s Be Required To Live?